A well-stocked pantry begins with a good cookbook. 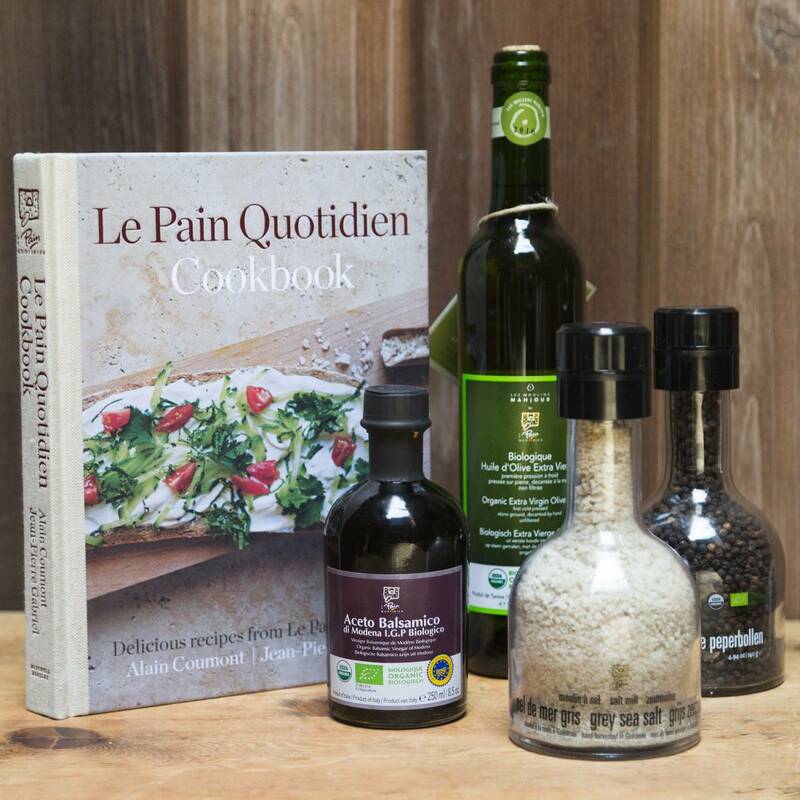 Alain Coumont’s Le Pain Quotidien Cookbook contains over 100 beautifully depicted recipes for breads, breakfasts, soups, salads, tartines, hot dishes and sweet things from our kitchens. 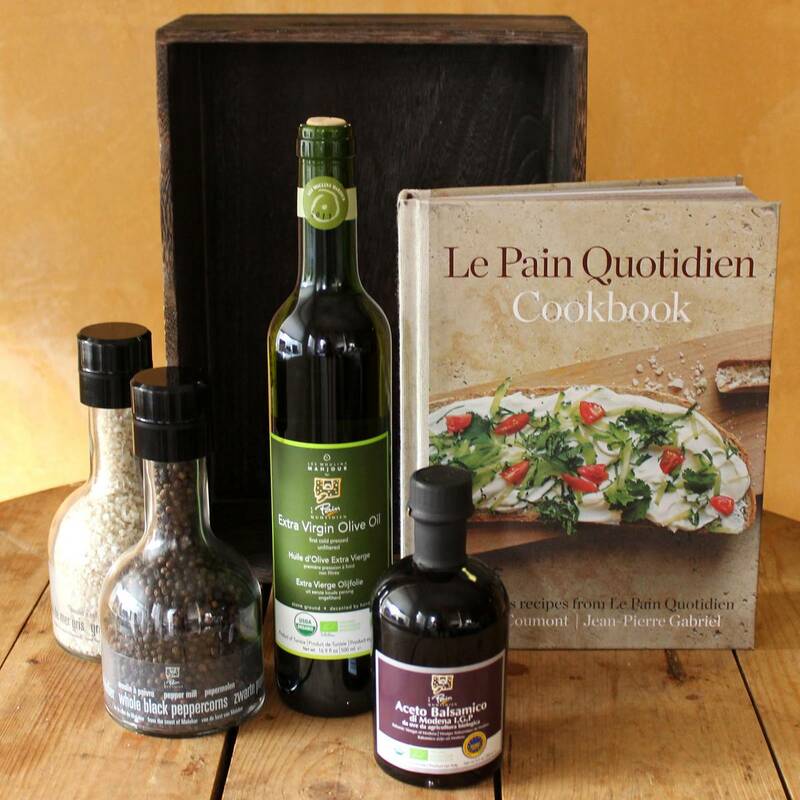 Packed in a wooden box with Extra Virgin Olive Oil, Balsamic Vinegar from Modena, Grey Sea Salt and Black Pepper.